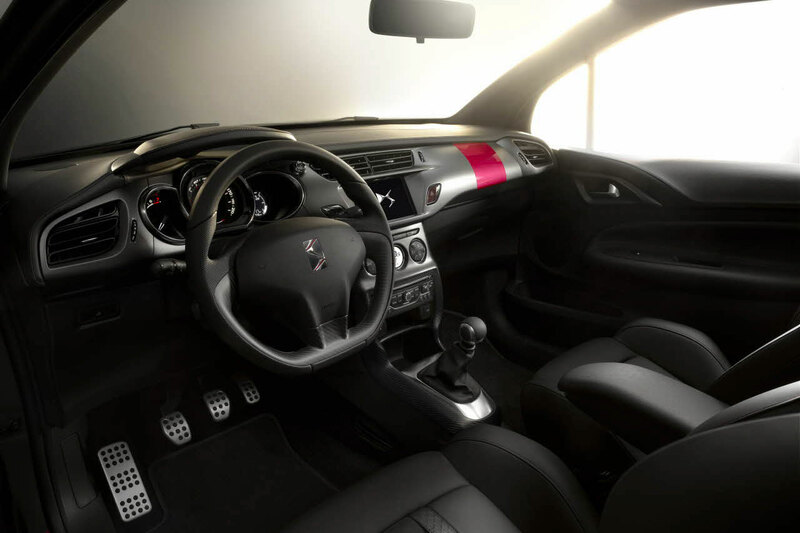 Citroën’s involvement in the World Rally Championship was a key reference in the concept, which combines the best of the DS3 Racing hatchback with the sophistication of new DS3 Cabrio. With custom-built excellence, radical choices and refinement in every detail, DS3 Cabrio Racing delivers the performance and sporting looks of a car tuned by the multi-WRC title winning team, Citroën Racing. 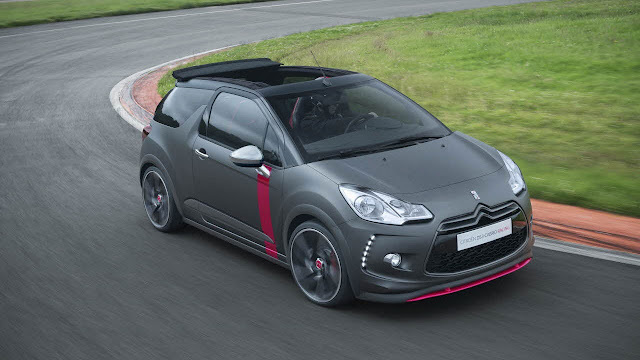 Extensively customised with dynamic styling, DS3 Cabrio Racing features a bespoke Moondark matt textured grey paintwork with special gloss black 19” alloy wheels and Black Chrome inserts on the handles, boot trim and door mirrors. The concept is DS through and through, with bold identity statements. 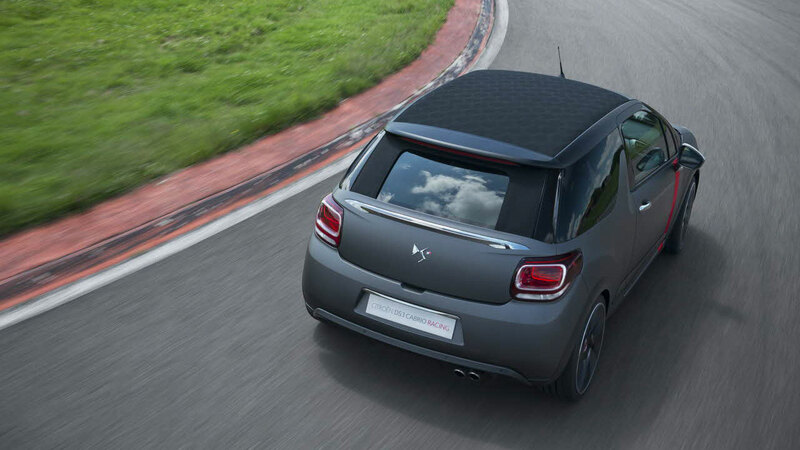 The distinctive DS pattern appears both on the black canvas roof, in gloss weave with a high-tech carbon-fibre look, and is also engraved on the door mirror housings. Meanwhile the brake callipers, wheel hubs, doors with wide side strips and parts of the lettering and badge are coloured in dynamic Carmin red. Inside, DS3 Cabrio Racing combines performance with elegance. 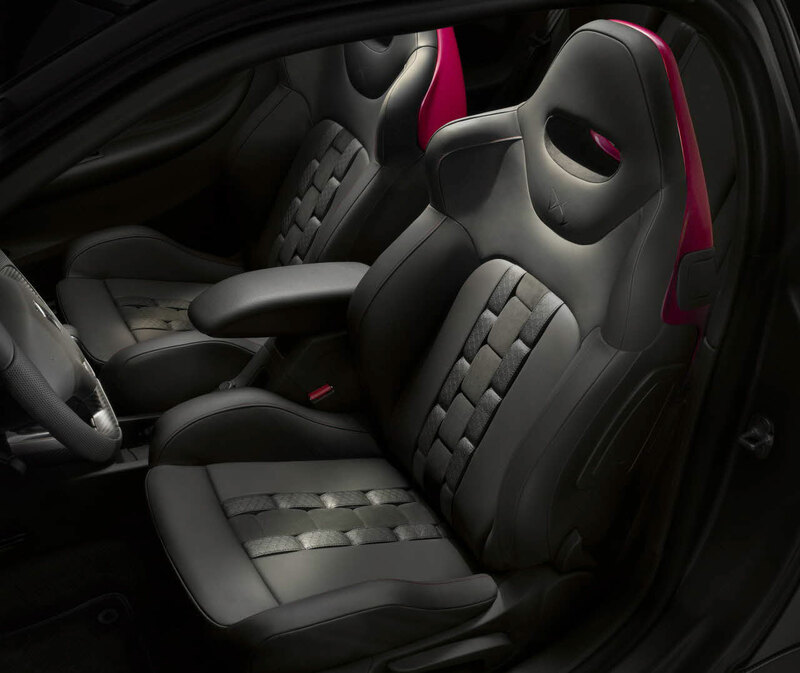 There are bucket seats with a DS watchstrap design in three types of fabric – Napa full-grain leather, DS-embossed leather and Alcantara – and special DS pearl top-stitching, featured in the Carmin shade for the first time, on the seats, dashboard and gearshift. The Carmin colour continues on the seat housings and dashboard, echoing the door side strips. 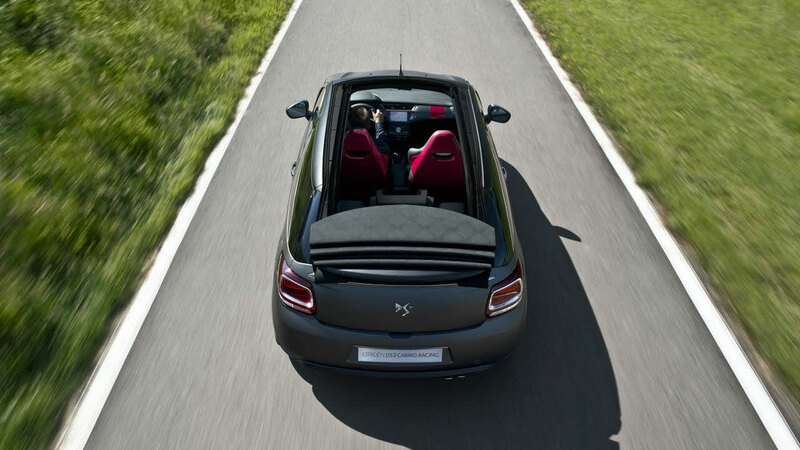 Weighing just 25kg more than the hatchback version, DS3 Cabrio’s optimised architecture gave Citroën Racing the ideal platform to ensure the Racing concept would remain exceptionally lively and agile. 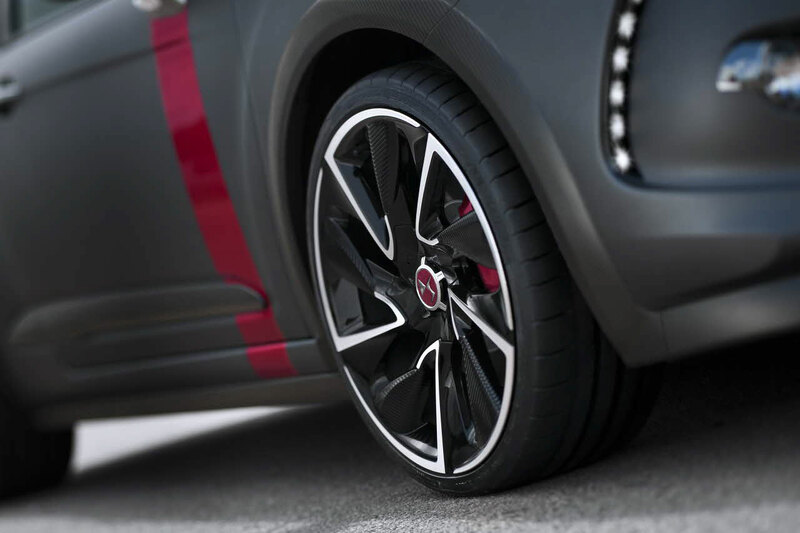 Citroën Racing fitted the car with special running gear, brakes and a carbon kit, maintaining the performance of the original DS3 Racing, with a 1.6-litre engine developing 202bhp. 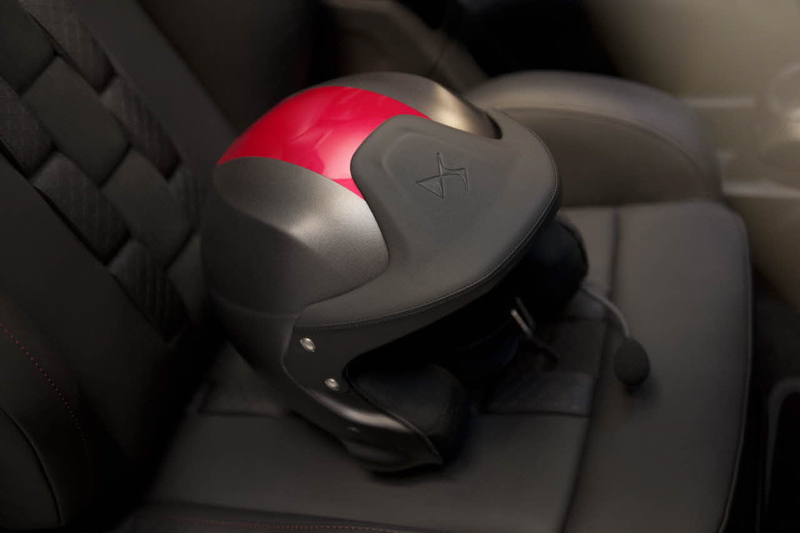 A smart design feature fitting to the Cabrio’s lifestyle practicalities is a child seat in three-material watchstrap design leather upholstery, coordinated to the seats, and even co-ordinating rally helmets.